Get Jesus out of the Cage. We are now in the midst of the Advent Season, a time in which we hopefully pay more attention to our walk with Jesus. It is during these weeks that millions of people will put up Christmas decorations of all kinds in a variety of settings. Whether done with secular intention or not, the lights, wreaths, and ornaments around the community serve to remind me to pause and focus on what it means that God dared to come among us in the flesh. Since I was a young boy, my family has set up a crèche each Advent season. Each year, as I set each piece up, I reflect not only upon the stories of those represented, but people who have been so important to me in my family and life journey. A number of years ago I served as Assistant Rector at St. Paul’s Episcopal Church in Concord, New Hampshire. It is a stunning place directly across from the State Capitol building. On the side walk in front, each year a community crèche is set up. 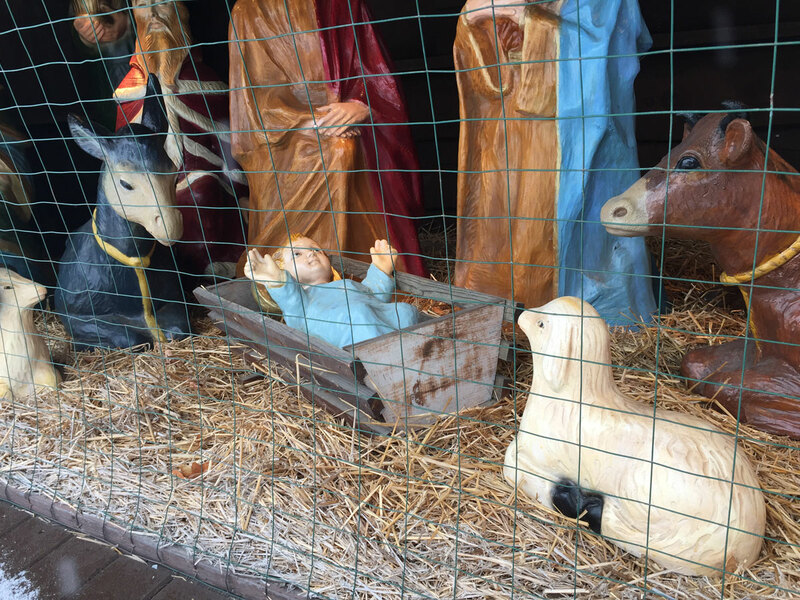 In order to protect the pieces of the crèche, a wire mesh is installed. When I was ordained an Episcopal priest, my mentor and friend David Jones preached. Little did I know what he had hiding in the pulpit. David said something like the following. “Robert. 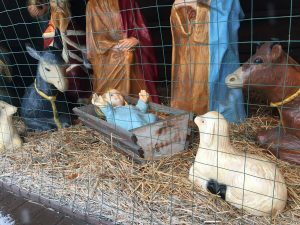 Remember, your job is to get Jesus out of the cage.” At that moment, he leaned down and retrieved the Jesus figure from the community crèche. Yes, he had “borrowed” it. The phrase, “my job is to get Jesus out of the cage” has stuck with me these 17 years since that night. Yet as I reflect upon David’s words, I believe the same is true for all of us. Jesus does not want to be confined by small expectations, fear of letting go and letting Him have His way with us, what other people might think if we truly allow ourselves to be transformed and changed from the inside out, or even by the traditions we have been raised with. God broke into the world in the manger and God continues to want to do the same in your life and in mine. I pray this Advent Season for each of us that we will let Jesus out of whatever cages we have put Him in and give Him the freedom to break into our lives in brand new ways.